265 pp. with 20 pp. b&w photos. Nearly new, no markings. 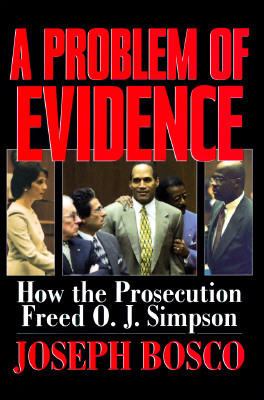 A veteran crime reporter details the errors of the prosecution in the O.J. Simpson murder case, singling out Marcia Clark for the harshest judgment. "While there is plenty of blame to spread around, it all starts and ends with America's darling," he writes. Keywords: CRIME. MURDER. CELEBRITY. O.J. SIMPSON. MARCIA CLARK. MARK FUHRMAN. JOSEPH BOSCO. LANCE ITO.